In the past few weeks, we’ve stumbled upon some fresh rumours surrounding Apple’s iPhone 7 and we decided to compile a list for you that might be comprehensive enough to draw conclusions on the final product. Apple is all set to reveal their new flagship phone on September 7th at their annual keynote and here is everything you need to know about the iPhone 7. 1. According to latest leaks, the iPhone 7 will be offered in five different colours. The current silver, gold and rose gold variant will be retained; however, the space grey variant will be replaced by a ‘Dark Black’ version and will also feature a ‘Piano Black’ variant. The Piano Black device will have a glossy finish and the supply will be limited as Apple might want to restrict it to higher storage options. 2. The base model of the phone will now be offered at 32 GB instead of 16 GB as it was the standard in previous iterations. Higher tier models will feature 128 GB and 256 GB variants. 3. 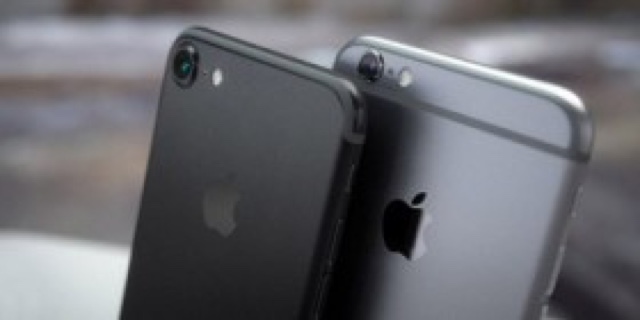 The iPhone 7 Plus will have 3 GB of RAM under the hood as it is required to aid the dual-lens camera while the iPhone 7 will feature the standard 2 GB of RAM. 4. You might have been already frustrated with the fact that the new iPhone 7 will not have a headphone jack. Yes, you need to come to terms with it now. However, the space that was previously being used by the headphone jack will now be replaced by a sensor that will improve the 3D touch functionality. 5. The dual-lens camera will have a wide-angle camera and the standard telephoto sensor. Both sensors will be 12-megapixels and their combination will offer optical zoom functionality. It will also have ‘light field camera applications’ which means there will be Lytro-style refocusing after a picture is taken. 6. The camera will also have four LEDs for flash which might give out better colours. The four LED flash will feature two warm and two cool for imaging purposes. 7. The proximity sensor will be switched up to feature laser technology. 8. The phone will feature IPX7 water resistance which is the same technology used on Apple Watches. The phone will not be waterproof but a move away from the home button might support this theory. 9. The phone will feature a wider colour spectrum. Users are already used to this on the 9.7-inch iPad pro. The new display will compliment the new camera. However, it is not clear if true tone technology will be implemented from the iPad pro. 10. The new A10 processor is capable of clocking a speed up to 2.5 GHz which would be a major upgrade over the A9 used in the current generation of iPhones. This list might make you ecstatic or frustrated as some of the features are yet to be confirmed by Apple. The good news is we are two days away from Apple’s keynote and we will be watching very closely. For more news on the iPhone 7, keep an eye out on our technology section.